After a spell at BBC Radio Manchester in the early 1970s, Mike went on to spend almost 40 years on air in Glasgow following a move to Radio Clyde in the late 70s. He was the first breakfast presenter on Clyde 1 when the AM and FM frequencies split in 1987. After 10 years on that show, he had a spell at Scot FM before returning to Clyde 2 in 2000 – first on drivetime before a move to Clyde 2’s ‘Riddie in the Morning’ breakfast show. Mike remained on air on the Bauer network in Scotland until June 2017. Graham Bryce, Group Managing Director of Bauer Radio in Scotland, told RadioToday: “Mike was an inspiration to everyone at Radio Clyde and will always hold a special place in the history of the station as the very first presenter on Clyde 1’s flagship breakfast show. 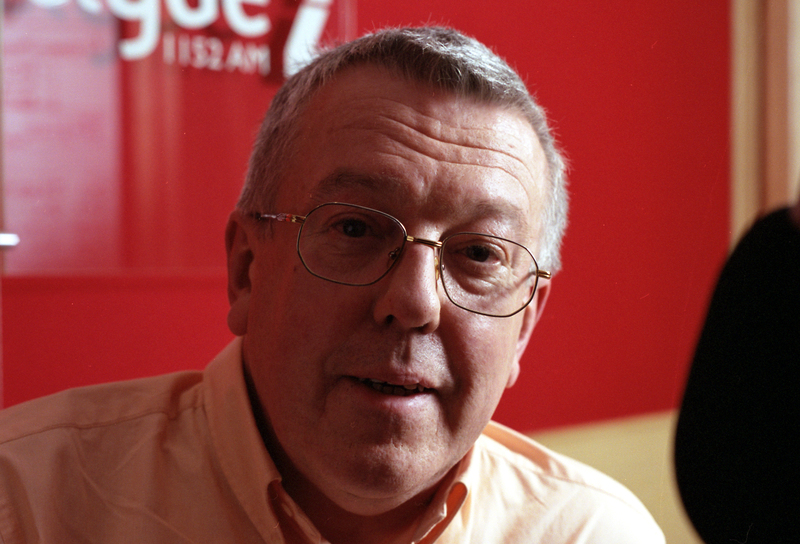 George Bowie who took over the breakfast show from Mike in 1997 told us: “Riddie set the bar for the breakfast show at Clyde 1 and I knew I had big shoes to fill when I took over. A great radio legend,will be sadly missed. A now long dead ex brother in law, David Jarvis, probably knew him in the 70’s @ Radio Clyde. So sorry to hear about Riddy. He was brilliant to wake to in the mornings especially Sundays. Will be missed. Very sad he has left us. I remember hearing him on Radio Clyde. What a brilliant guy he was. He was a great broadcaster with a wicked sense of humour. Reminded me a lot of the legendary Ray Moore. Very sad.